This recipe is an absolute staple for us, I always make it when we are having a 'special' pasta meal. Sometimes I make it with a whole baguette and sometimes as individual rolls - both are great. You can also make ahead and freeze, just wrap in foil and place in the freezer when ready to cook just put it straight in the oven for about 10 minutes then remove foil to brown up for another 5 minutes. 1 par bake baguette, or 3 par bake rolls. Preheat oven to 220C. For a baguette, slice it in even slices, on the diagonal but do not slice all the way through, I tend to get 10 or 11 slices out of mine. 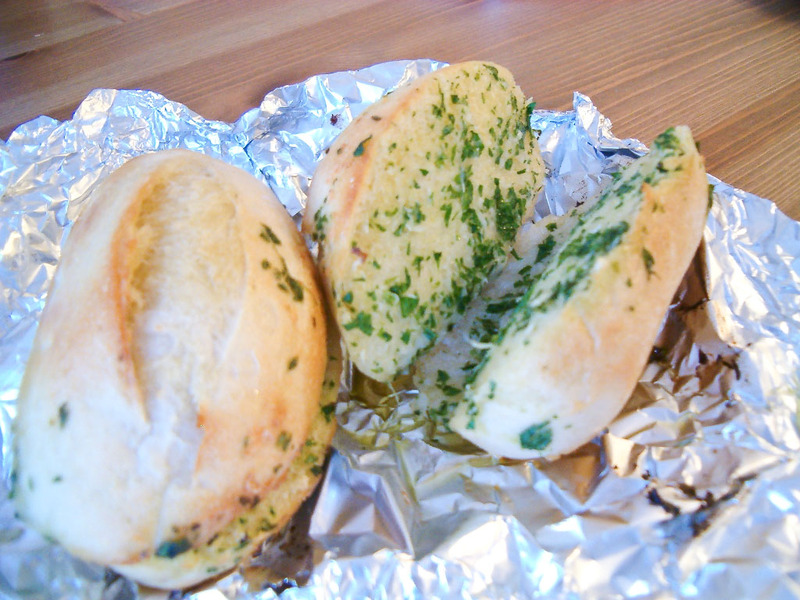 Mix together the margarine, garlic, parsley and salt really well. Spread a bit in between each slice, if some slices come apart it's ok - just glue it back together with the margarine! There will be leftover margarine, take some of this and spread it thinly all over the top of the baguette as well. 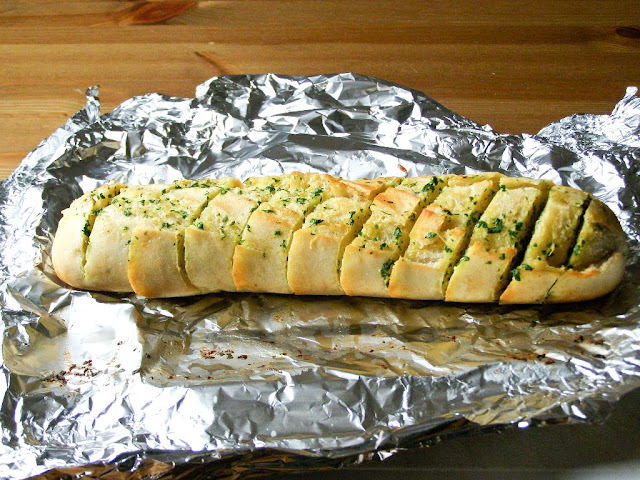 Now loosely wrap the whole baguette in foil making sure the top and sides are sealed, place on a baking sheet and bake for about 5 minutes. Now remove, unwrap from the foil to expose it, you can leave it on the foil, and place back in the oven for another 5 - 8 minutes or until golden brown and crisp on top. Remove, transfer to a cutting board and slice all the way through the slices to serve.